Tajpur is located in Purba Medinipur, West Bengal, India on the shore of Bay of Bengal (near Digha). Tajpur is set between Mandarmani and Shankarpur. 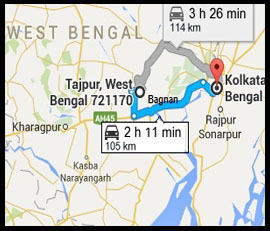 Tajpur is 170 km from the state capital Kolkata. 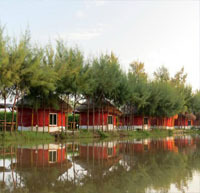 Tajpur has also around 1400 acres of land dedicated to Pisciculture. There are a number of bheris or fish-ponds in the area. As a tourist attraction, it is relatively new as there are fewer hotels compared to Digha and Mandarmani. The beach is clean and home to numerous red crabs.